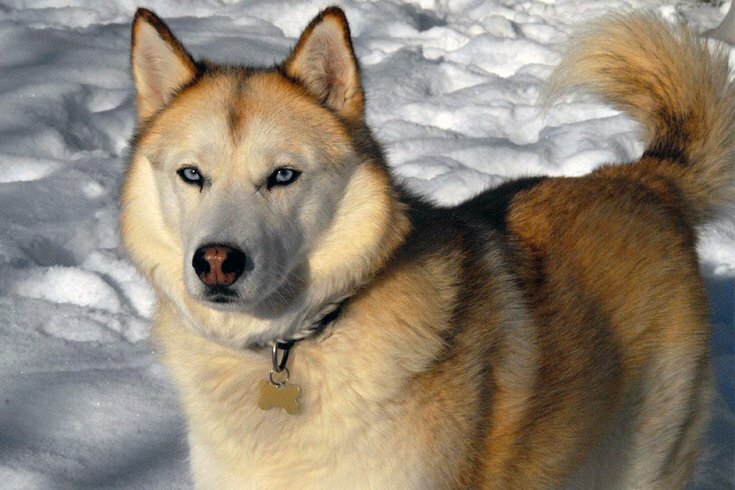 This "sable"-colored Siberian Husky was not involved in the Lancaster County incident. Fifteen dogs were rescued from the home of an unlicensed Lancaster County breeder on Thursday after authorities acted on a tip that a female husky had been illegally "debarked." Officers with the Pennsylvania SPCA visited the Quarryville property and rescued 10 puppies and 5 adults. Three dogs were found to have been debarked, including the husky, officials said. "Debarking," or devocalization, is a surgical procedure performed on dogs and cats, where tissue is removed from the animal's vocal cords to permanently reduce the volume of its vocalizations. The procedure is prohibited by Pennsylvania law – for any reason – unless the procedure is performed by a licensed veterinarian using anesthesia. The agency's Humane Law Enforcement officers removed five adult dogs including three Doberman Pinschers, one German Shepherd and one husky, as well as 10 puppies, including seven four-week old Doberman Pinschers, 2 six-week old Doberman Pinschers and one three-month old Siberian Husky puppy. Additionally, the adult female German Shepherd was found to be pregnant. The dogs are now in the custody of the Pennsylvania SPCA. They will be provided medical care and eventual placement in loving homes or partner rescues. Charges against the breeder are pending the conclusion of the investigation, PSPCA officials said.